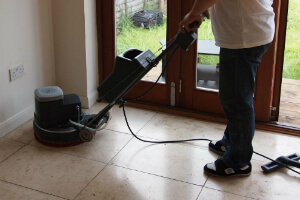 Pollards Hill CR4 Hard Floor Cleaners Domestic & Commercial | Quality Property Care Ltd.
To book our expert company today contact us at 020 3746 4287 and if you are in luck we will have a team available to aid you. You can schedule well in advance or get a next day cleaning in case all of our crews are busy helping other clients. Get in touch with us our customer service is there for you at all times. Wood floors rarely need deep cleaning, however, when they do it must be done by a expert as a sanding process is needed to take out all of the filth. On arrival our team assesses the floor, what type of wood and the type of finish it has. If the finish is in a great condition the cleaners simply clean the floor with driver pads and a mop if possible to eliminate any residue and small particles that might be scratching the surface. If the seal is broken and the lacer that has been applied is warn or fully off then a sanding of the floor is required in order to complete remove the filth. If the wood lacks a protective coating this means that filth, grime and other nasty particles have entered the grain and cannot be removed unless sanded away. We sand the floor and instantly apply several coats, each after the previous has dried, to seal the grain and protect it from further soiling. To prevent this from happening simply notice the floor’s shine and if its starting to get dull give us a call and we will handle it. Flooring vary in density, how they are worn though time, how much they get damaged and so on and so forth. We’ve made an effort to cover as many of these floor types as we can in order to be as useful and helpful to the Pollards Hill CR4 local community as we can. The entire cleaning process starts with the assessment of the type and condition of your floor. Furniture which is in the way is moved, though we do prefer that the client has done so already before our arrival. This lowers the chance of damaging the floor and the piece of furniture that is being moved. Unlike the indoor floor cleaning services, which usually involve a scrub, vacuum, spray, rinse and dry treatment, the professional patio cleaning and driveway cleaning offered by the company involves pressure washing. The Quality Property Care Ltd. cleaners are equipped with powerful jet washing equipment which they will use to safely provide you with professional exterior cleaning of your drives, paths and decks. Any residue, mold, dirt will be washed off of your outdoor space and it will look clean and perfect for spending more time there. So, if you want your outdoor space to be perfectly clean, and your indoor floors to be rejuvenated, shiny and protected once again, book the professional hard floor cleaning services from Quality Property Care Ltd. of the company right away. 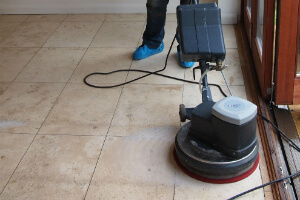 Call our Pollards Hill CR4 floor polishing customer support representatives – get a free quote or book your floor services right away. The full customer support is guaranteed and the final outcomes are always surprising and effective. Use this phone numbers 020 3746 4287 or move to the online booking form for requests.